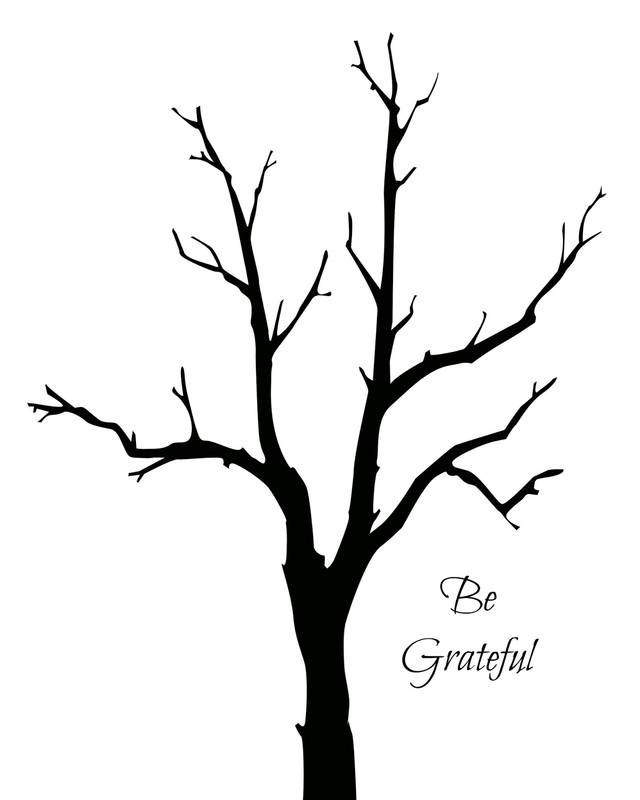 Click here for your FREE printable Thanksgiving Be Grateful Tree artwork! 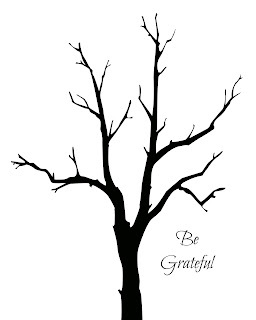 Simply print out the Be Grateful tree template (8 x 10) using the link above. 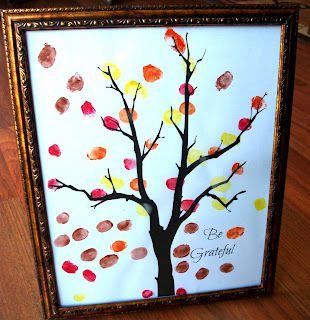 Have your child(ren) add fingerprints to make "fall leaves" on and around the tree (we used washable watercolors). Let the paint dry, trim if needed and frame. 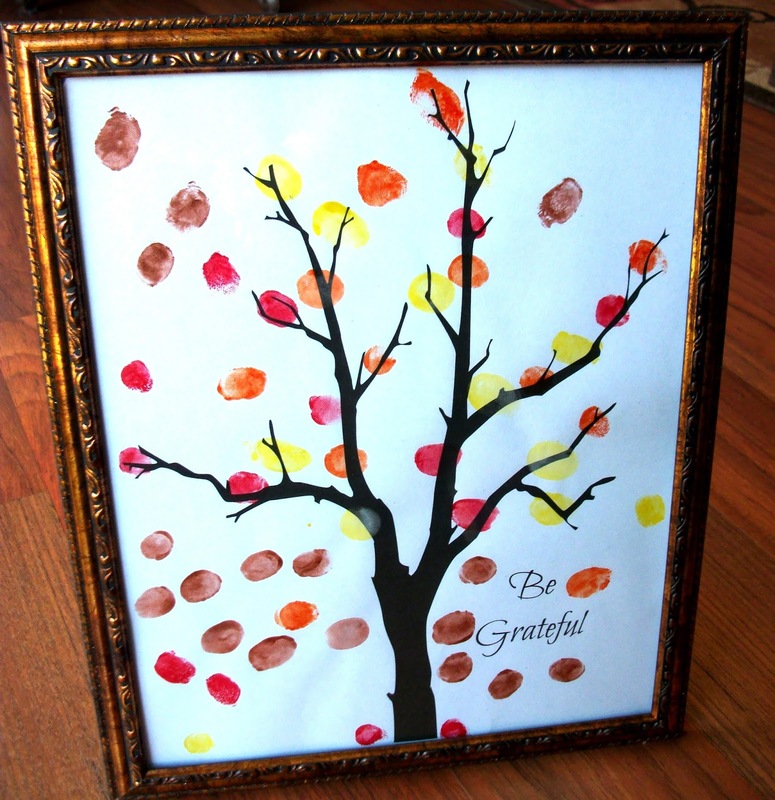 Perfect fall artwork to brighten up your Thanksgiving!